Nissan India plans to roll out two more Datsun models by 2016 to realise its objective of cornering 10 per cent market share with both the brands contributing half of sales by then. 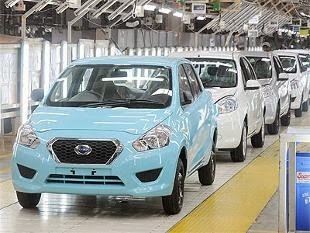 The first model, Datsun Go, a hatchback in the under Rs 4-lakh price band, was rolled out yesterday at its Chennai plant and will be ready for bookings next month. The company is reviving the Datsun brand after almost three decades and is aimed at first-time car buyers. “We will bring two more models from the Datsun stable by 2016,” Nissan Motors Corporate Vice-President for India, Africa and Middle East, Toru Hasegaawa told reporters at the ongoing Auto Expo. 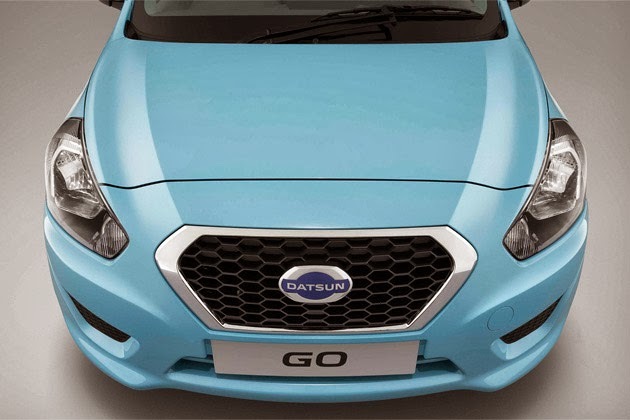 Hasegawa said the Datsun Go launch is aimed at enhancing the market reach not only here but also in other emerging markets like Russia and South Africa, among others. He said the company is aiming for 10 per cent market share by 2016 with Nissan and Datsun brands contributing 5 per cent each of sales. “We are strategically approaching the emerging markets, including India. The Datsun will definitely succeed in high growth markets. We estimate that half of sales will come from Nissan and the remaining from the other product,” he added. Hasegawa said the global auto market is changing, with 60 per cent volume expected to come from the emerging economies as against 40 per cent now. Currently, advanced countries contribute 60 per cent of volume for the company. Describing India as “not an easy” market, Nissan India Managing Director Kenichiro Yomura said the company is now geared up to enhance its presence. “India is not an easy market. It’s price-sensitive and its requirements are different. But now we think we are ready to cater to the market in a much bigger way,” he said. On capacity utilisation of the Oragadam plant near Chennai, Totu said the plan is to inch towards 5 million, adding that with some arrangements in the shift it can go up to 4.80 lakh. The company has also ruled out exports of Datsun from the country at this point of time as it plans to produce the model locally in Indonesia, Russia and South Africa. “This is only the beginning. Following the sales launch of Datsun Go in March, we plan to expand the product range. Datsun will account for 50 per cent of sales for Nissan in India,” Datsun Global Head Vincent Cobee had said in Chennai yesterday. The Oragadam plant is a joint venture between Nissan and the French auto major Renault. Both the companies have together invested about Rs 4,400 crore. 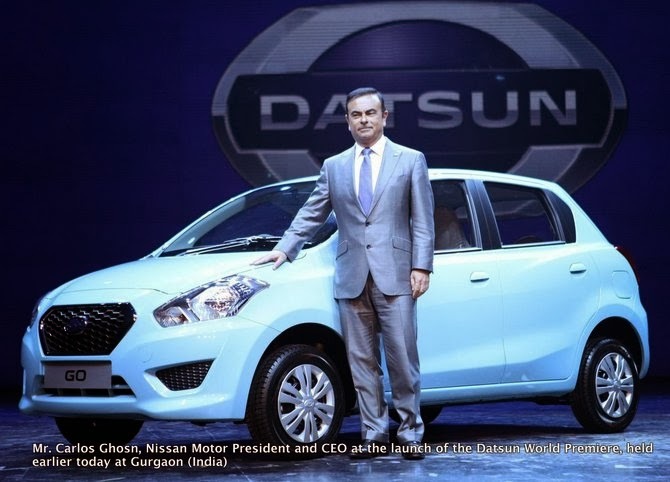 The launch of Datsun comes at a time when Nissan India has plans to introduce 10 new models by 2016. The company plans to have a network of 300 outlets by 2016, of which 145 are expected to come up by March this year. 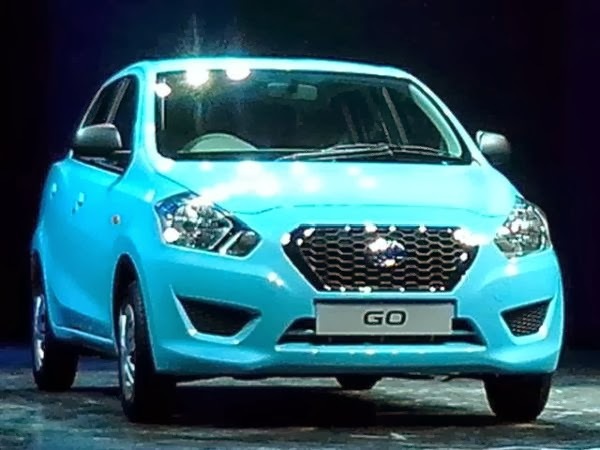 Nissan will be directly selling the Datsun Go and other models from the Datsun range on its own and not through its country sales and service partner Hover Automotive. Besides the Datsun, Nissan sells the hatchback Micra, sedan Sunny, and SUV Terrano, among others.